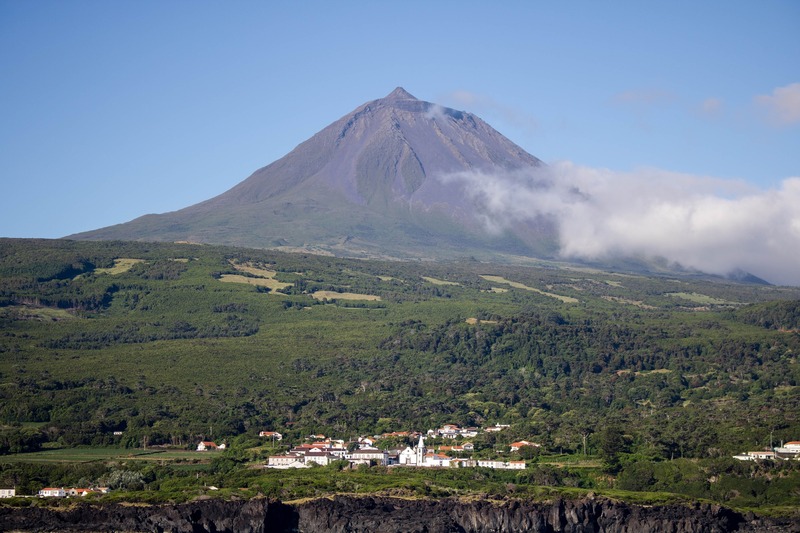 The Azores islands off the coast of Portugal are a little known and good value family destination, just 4 hours by plane from Boston, Massachusetts. There are nine islands in the group, known as the Eastern islands (Sao Miguel and Santa Maria islands), Central islands (Terceira, Graciosa, Sao Jorge, Pico, Faial islands), and Western islands (Flores and Corvo islands). Santa Maria, the capital of Ponta Delgada on Sao Miguel, and Angra do Heroismo on Terceira receive international flights. Ferries also connect the islands. Azores Airlines’ new family deal — it must be booked soon — lets kids fly at half the price of the lowest published kids fare to Ponta Delgada in the Azores from Boston, when they travel with a parent or parents between November and April. Although summer is the high season for European families, fall and spring can be very pleasant. 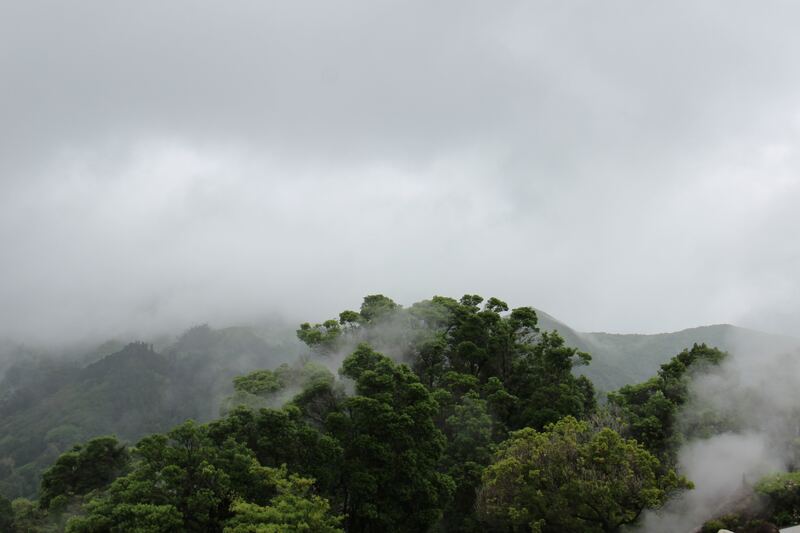 Due to the islands’ location in the Atlantic Ocean, the Azores weather is temperate. In the fall season, days are in the mid 70s and, later in winter, low to mid 60s. It can be misty in December and January, and it’s definitely not beach weather, but it’s less crowded and still scenic. There’s always something to do. In addition to visiting the many beautiful churches and old villages, there’s hiking along the volcanic beaches and coastline, there are Jeep tours, swimming in a hot spring, whale watching and the chance to explore forts, palaces and pineapple and tea plantations. Each of the islands has many small family-friendly hotels. The cuisine is fresh and flavorful, especially the seafood, with octapus a local specialty. Encourage the kids to try something new, such as having lunch boiled in a hot spring — a popular stew is cocido das furnas, which means just that. Treetops blanketed in a wintery mist. Photo of the Azores by Luke Paris via unsplash. So here’s the deal: Book between August 20 and September 9, 2018 for travel from Boston to the Azores anytime between November 1 to December 18, 2018, and January 10 to April 30, 2019. Here’s the fine print: The discounted fare is sold during most school vacation weeks during the November to April period of validity. It is not available between December 19-January 9. Families must pay 50% of the applicable fare for children (2-11 years old). The discount applies to the fares only, not applicable surcharges or airport taxes, and there must be an adult booking for each child’s half-price ticket. For comparison, a child’s fare for ages 2-11 is is about 80% of an adult fare when the offer is not in effect. Babies always pay only 5%-10% of of a normal adult fare, before surcharges and airport taxes. You may not be familiar with them, but Azores Airlines, part of SATA Group, has been connecting New England with the Azores and mainland Portugal for more than 35 years. Book this offer while it lasts at AzoresAirlines.pt or by calling the US contact center at 800/762-9995.